EMBASSY MIXSHOW IS BACK!!! 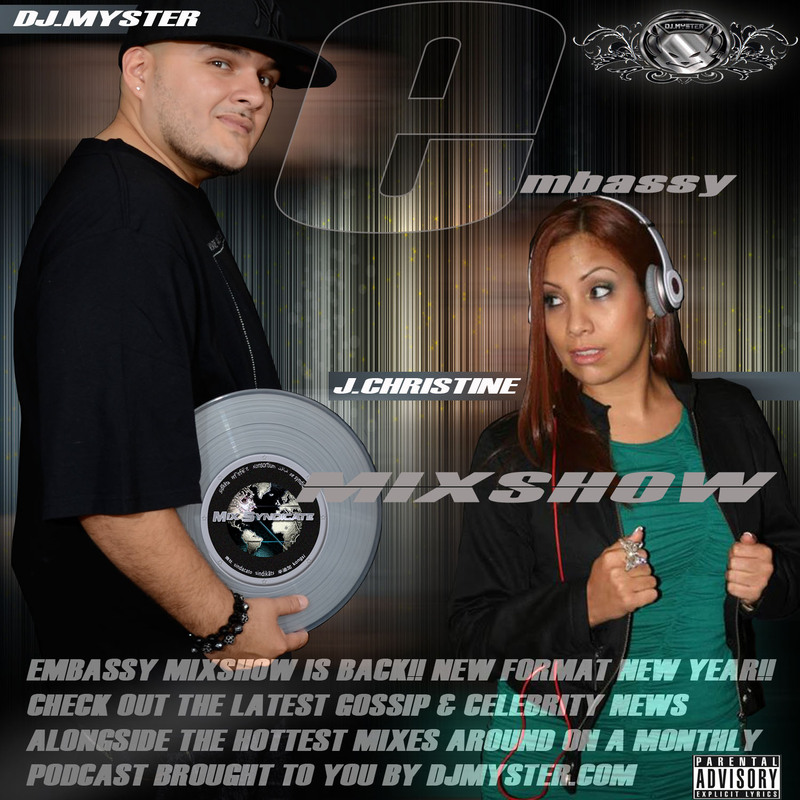 NEW NAME, SHOW & FORMAT 1ST FULL “2 HOUR” SHOW / 2015 @DJMYSTER ALONGSIDE AIR PERSONALITY @JCHRISTINENYC BRINGING YOU THE LATEST GOSSIP & CELEBRITY NEWS ALONGSIDE THE HOTTEST MIXES AROUND ON A MONTHLY PODCAST BROUGHT TO YOU BY DJMYSTER.COM OPEN FORMAT /EXPLICIT / 2015 DJ.MYSTER/DJ.MYSTER LOGO / EMBASSY MIXSHOW ALL COPYRIGHTS RESERVED. 2014-2015 “PRESS PLAY”! Click here to hear the hottest podcast around! !